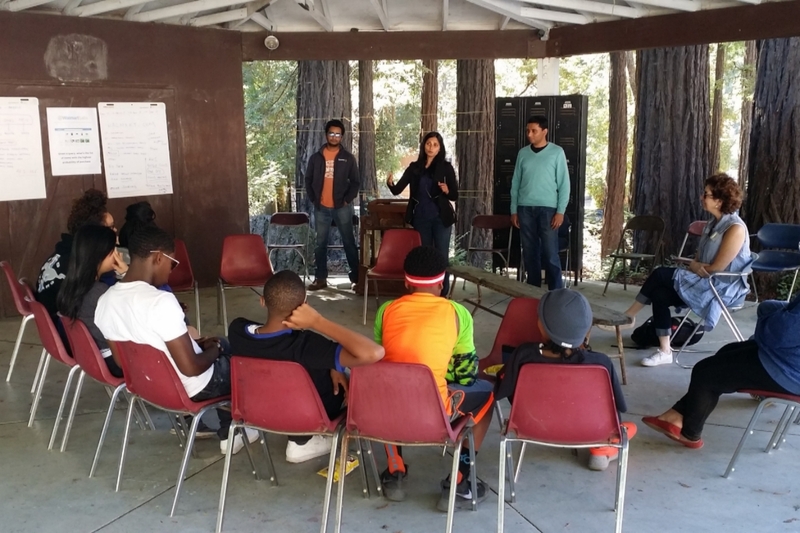 Many people thought I was insane for bringing more than 100 underrepresented, predominately African American and Latinx high school students from the Bay Area to the YMCA Camp Loma Mar in the Santa Cruz Mountains to learn about STEM. Not for the obvious reasons of taking 100+ students anywhere, let alone camping, but for doing so in a location without internet. Mentors from STEM companies were presented with the challenge of communicating what they do for a living using low-tech methods in hopes of inspiring students to go to college, major in competitive degree programs, and one day become scientists and engineers. 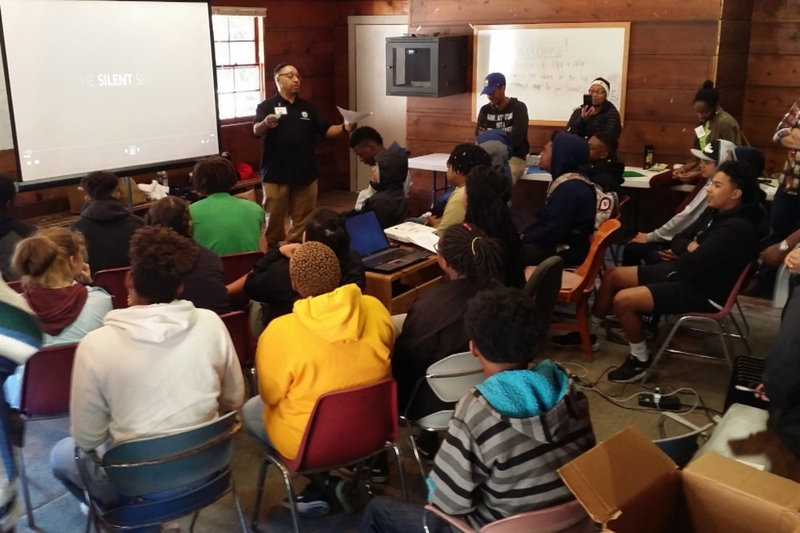 While unconventional, I knew it could work: I had attended a similar camp when I was in high school that was organized by the National Society of Black Engineers. It was a pivotal experience for me, and I wanted to pass that experience onto others, as I did when I chaired this camp as a college student at Cal. Before this camping trip, I had helped my childhood friend organize a Science in the City Summer Camp for middle school students at Stanford. We did this for two years, through a grant from the National Science Foundation, but ran out of funding so we did not have a camp. Then Google agreed to fund us, and we launched The Social Engineering Project, Inc. (TSEP) to motivate and inspire young people to fall in love with math, science, chemistry, physics, and engineering – and pursue careers in same fields. This was the first annual TSEP Overnight STEM Camping Conference. The students were exposed to careers that they never knew about and were free from typical distractions of texting and social media. And it paid off: The camp was not only successful, but it reminded me that we have the power to help more students pursue careers in STEM. Here’s what I learned. 1. Unplugging is good for innovation. 2. Students really are still fascinated about college and want to know how to get there. Admissions officers at U.C. Berkeley came to the camp to demystify the application process. There were numerous questions about how to get into college and what college life was like. 3. Students need to be taught how to network like any other subject matter. Below are some photos from our partner company’s workshops, and feedback we received from the students themselves. Northrop Grumman showed the students various submarines they’ve built, demonstrating how important gears are in their line of work. GoPro’s workshop taught students about how they stabilize their drones in order to take steady video and how they test their products for water resistance. Walmart Labs introduced our students to algorithms, explaining how their website finds the right products for its customers. You can learn more about The Social Engineering Project, Inc. and their programs here.